I am not sure anyone is interested, but i though I should post some maps that I have been using in my campaign. Sorry, could not get this towork... ? This is a very nice map. I like the feel of it. I think it's missing some details though. A bit more greenery, some way to show the traveled paths, etc. But the feeling is there, i'll give you that. This is a great map. I think you've done a wonderful job of laying out the buildings. There's a lot of visual interest. It makes me want to explore all of the streets and side alleys. Thanks monsen for the formatting, I added the formatting to the [Posting your map] thread. 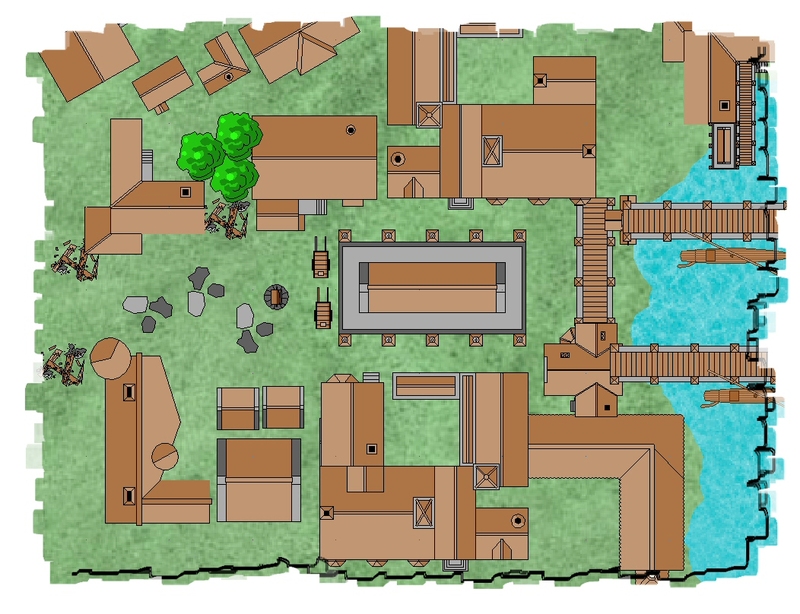 Here's a similar map that I used in my campaign ... trying with a different background. The cool thing about this, was that I just concentrated on a small part of the (big) city I am building and extracted a square of it, added a bit of effects from Paint Shop Pro and it was ready for using in the game. A very nice map. I especially like the buildings "networked" together. I would probably put some lighter coloured tracks around the buildings to indicate the normal paths to them, but that is a matter of taste. This might be a little too innvolved but it would still be a good resource for you to keep in mind in the future... (I was at one time an architectural apprecience and went to school for it.) If you want to reach and go farther with your maps, go to a university library, if you are in a university... or possible a large city library and look up photos of Italian Hill towns, Florence, or Rome. You will see the organic nature of how cities/towns come together by looking at the streets and roofs from above... it is something you will have to invesitigate, or you might just do a 'google' of images of italian towns from above. I love the maps. 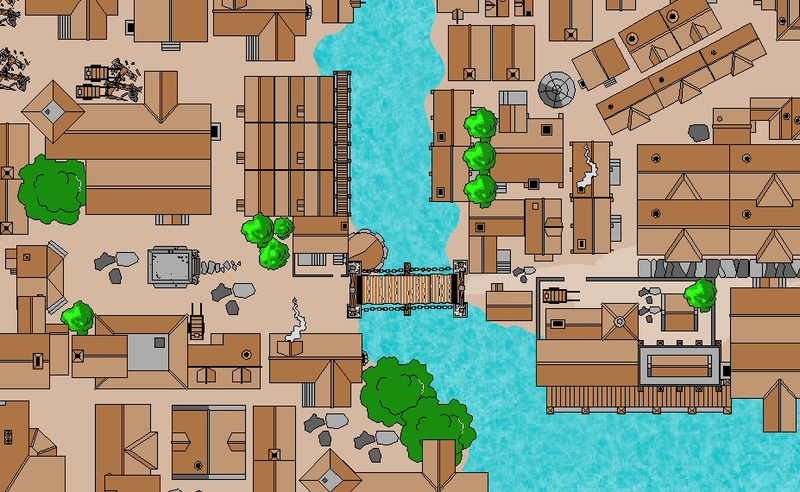 I have run many city campaigns, there's just something magical about bringing a city to life instead of the relentless dungeon bashes... not to say my cities dont have dungeons... they do!! These maps would have seen a LOT of use. As mentioned above the one minor change i would love to see would be a pattern overlaid to show the well travelled paths, maybe carts at slight angles, but this is minor and cosmetic. Love it, love it, love it - MORE please. This is a very old post (10years ago), but as I am going through all the Forum posts from the beginning, I came across this excellent city district from Olona (now not posting here alas). I really like this, even if it is in the old vector style, and I think I might use it for a future city. Olna was active all the way up to 2015, so you might get a response?